History: Linggam came to Sepilok as a cub (only 3.5kg) in August 2004 after being found at a logging camp at Kampung Pinangah. Loggers claimed that he was found alone. He was taken into the care of Mr. Awang who then gave him to the Sabah Wildlife Department. He was sent to Sepilok and was later transferred to the Lok Kawi Zoo near Kota Kinabalu. He came back to BSBCC Sepilok in July 2010. It took Linggam a while before he finally stepped outside of the indoor enclosure. He is now enjoying his back yard every day at the centre. 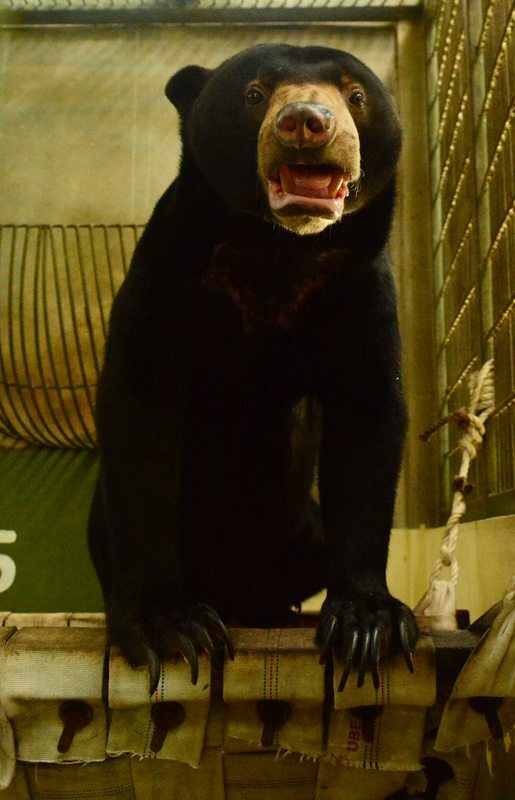 Personality: Linggam is best known as the handsome and prince bear in our centre. He is a very attractive bear with big brown eyes and a gentle face. When we give him his favourite food or enrichment, it must be complete pleasure for him. If not, he will not appreciate the food or treats given to him at all. He is choosy in his enrichment. So, we will make different types of enrichment to let Linggam choose which toys or treats he prefers. Sometimes, it is the simplest enrichment that makes such a difference in the life of Linggam! Linggam is another bear that loves water and can often be found splashing water out of his water bowl. Identifying mark or trait: Linggam is a very handsome bear. He has a narrow muzzle, a shiny coat and is slender in stature. ADOPTION: Tradewinds Plantation Berhad is adopting Kudat under the My Bear Adoption Programme.